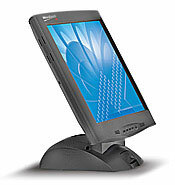 The MicroTouch M170 Touch Monitor from 3M was designed to be different. The result of extensive customer research, innovative industrial design, and years of touch technology expertise, the M170 monitor's unique mechanical and technology features offer premium performance for a wide-range of implementations. The 3M Touch Systems 11-91371-117 is also known as 3M MicroTouch	MCT-1191371117	or 1191371117	.